Learn how to grow banana peppers. Growing banana peppers are rewarding. It is productive, relatively easy to care for and grow and have a few basic requirements in order to thrive. Banana peppers are sweet, nutritious and are used in a variety of cuisines. Banana pepper plant grows up to 18 – 24″ tall and requires temperature around 60 F – 90 F for germination, fruit production, and maturity. Other Names— Sweet Banana pepper, Hungarian Yellow Wax, Long Sweet Yellow, Sweet banana, Banana chili, yellow wax pepper, Hungarian Wax Pepper, Early Sweet Banana, Sweet Banana and Sweet Hungarian. Germinate banana pepper plants from seeds. Sow seeds in spring or in summer, when the temperature starts to warm up. Once the seedlings germinate and outgrown the pot, transplant them outside but only when day temperature starts to remain above 60 F.
In warm and frost-free climates growing banana peppers is possible anytime. Dig a hole of the same depth and twice width of the root ball of the plant. Plant your pepper plants 18 centimeters to 24 centimeters apart. Allow 24 cm space between rows. Plant seedlings when the soil temperature stays above at least 60 F.
Select a location in your garden that is less windy and gets a plenty of sun. 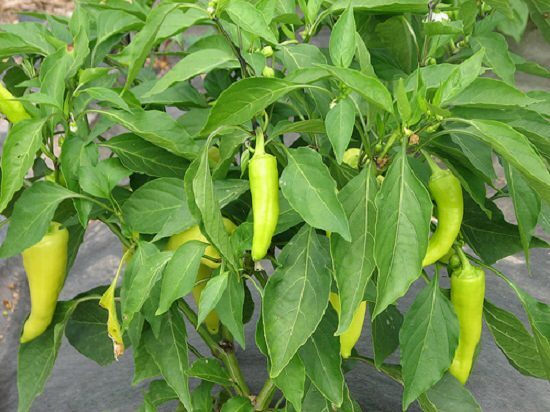 Banana pepper plant should be grown in at least 6 hours of sunshine in order to thrive and fruit. If the climate is too humid and the temperature reaches over 90 degrees Fahrenheit, add an organic mulch to the soil to help your plant to thrive in the summer heat. If growing in tropics planting banana pepper in a position that receives afternoon shade is helpful. Work on your garden bed and mix equal amount of rich compost, peat and manure as it needs a well-draining soil rich in organic matter with neutral pH. If growing banana peppers in pots use a good quality soil-less potting mix. Like all pepper plants, growing banana pepper requires regular watering. 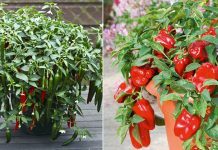 Pepper plants remain thirsty most of the time and you need to water them regularly and deeply to keep the soil slightly moist constantly throughout the growing season. In any case overwatering should be avoided as pepper plant is very sensitive to waterlogged soil and wet feet. 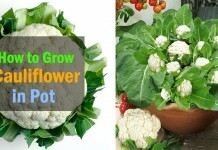 Fertilize your growing banana pepper plant with organic vegetable fertilizer twice a month. Avoid using high nitrogen fertilizer, else you’ll get more vegetative growth than fruits. Also, if your soil is magnesium deficient or if you’re growing banana peppers in pots, spray Epsom salt occasionally. 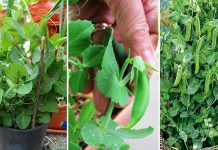 Pinch off the tips and shoots to make the plant bushier, also, remove the early blooms. This will make the plant healthier and more productive. Banana pepper plant sometimes requires a support structure to grow if it becomes lanky. For this, prod a wooden stick or support it by a small trellis-like structure. Do mulching with organic matter around the plants for weed control and to maintain proper moisture. Banana peppers are ready to harvest when fully mature, about 4 to 8 inches long and curved. Peppers are usually ready for harvest about 70 days after transplanting. Depending more on the variety, banana peppers are uniform, pale yellow, or may have a shade of orange and red around the tips. Use scissors or garden shears to cut the stem about one centimeter above the fruit. Do not pull out the peppers roughly by hand as this may damage the plant. By doing some measures: Avoiding overwatering, watering in the evening and overhead watering you can restrict fungal diseases and rots. Sowing good quality seeds and using disease-free soil is helpful in preventing soil borne diseases. Slugs and especially aphids are the major pests problem with banana pepper plant. please help me understand why my patio banana plant is dropping leaves and the leaves are wilted. Am I overwatering the plant? I bought from Costco and it looked fine. Been with me for two days and it does not look so good. My first patio tree i dont want it to die. Please send comment.